April is truly a month that needs celebrating! In addition to sharing some of the hottest health tips, “must have” products and ways to get bikini ready for summer, I cannot wait to show you the before and after photos from our Cityline weight loss challenge. Over 102 pounds dropped collectively in just 3 months! Bravo ladies – job very well done. If you have read any of my previous newsletters, articles or books- you know my goal is to help people of any age achieve good health... naturally. Eating well should not include starvation, injections or deprivation. Before you start any weight loss program or health kick, ask yourself the fundemental question “Can I see myself following a version of this program for 5 years or longer”. So in honor of getting healthier, feeling stronger and more energetic - this edition of the Dr. Joey newsletter is filled with natural goodness... just for you. Enjoy! 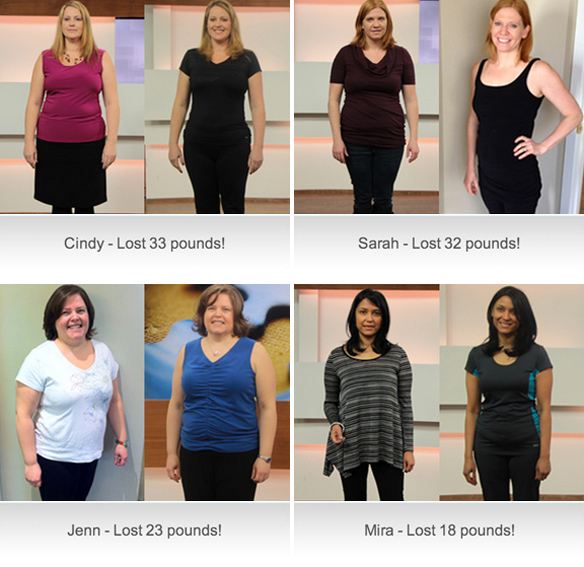 Congratulations to our Cityline weight loss winners who lost a whopping 102 pounds in 3 months collectively! From breaking cravings, feeling more energy and “cracking the weight loss code” – they all achieved huge success! And remember... timing is everything for weight loss! Click here to read more. SPRING PRODUCTS WE JUST CAN’T STOP LOVING! Jump into spring with this refreshing and soothing hand cream that not only smells great, but is formulated with nourishing and natural ingredients. 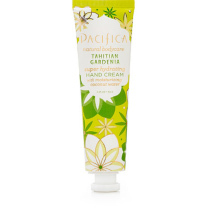 Pacifica’s Tahitian Gardinia hand cream is super hydrating; containing many of the products we love to see in our creams, including vitamin E, shea butter and coconut water. Quinn popcorn is the new favourite in my home and for good reason. This delicious popcorn is made with organic, non-GMO kernels and high quality omega-3 oils. 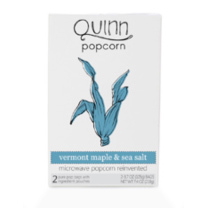 Even better, Quinn popcorn is packaged in compostable, chemical-free bags that are grease proof. Flavors include Parmesan and Rosemary (my favorite! ), butter and sea salt, and cheddar and chipotle. 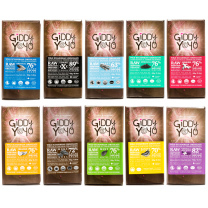 Giddy Yoyo dark chocolate squares are made with natural ingredients that are nourished by mineral-rich soil, giving two pieces of chocolate a whopping 22% of your required daily iron intake. The cocao in all the Giddy Yoyo products comes straight from Ecuador and is 100% raw. Not only is cacao delicious and satisfying, it also has excellent health benefits, including cholesterol lowering abilities and increased antioxidant content. The bars are infused with 10 different flavours including spirulina, mint, orange, ginger, and, maca. Skinnychews 1 Day Special!Cravings and hunger can often get in the way of healthy eating. That is where Skinnychews fit in. The inulin fiber in skinnychews has been shown to be beneficial for appetite control and blood sugar balance (cravings!). Inulin also has a pre-biotic effect making it very good for digestion. For today only – enter the word“spring” as a promo code and receive $2 off each bag at check out. And remember... order 2 or more and shipping is on me! Place chocolate chips and butter in a glass bowl and microwave for 30 second intervals 2-3 x, stirring after each interval until fully melted. Take egg yolks and beat slightly then add to the cooled chocolate mixture. Mix well and set aside. Pour batter into prepared spring form pan and bake for 40-45 min. Allow to cool before removing sides of the pan. Top with shredded unsweetened coconut or fresh raspberries for a pretty presentation. Removed grapefruit peels. Over a bowl to catch the juices, cut the grapefruits into sections. Set sections aside and reserve the juice. Cut avocado in half. Remove pit, peel, and cut into slices. Set aside. In a large bowl, whisk together the oil, lemon juice, 1 Tbsp. of the reserved grapefruit juice, and mustard. Add salt and pepper to taste. Add spinach leaves to bowl of dressing. Toss gently until leaves are evenly coated in the dressing. Lift dressed lettuce out of the bowl and divide into individual plates. Put avocado slices in the bowl and toss to coat with any remaining dressing. Place on individual plates. Add grapefruit sections to individual salads. Drizzle any remaining dressing over the salads, if you like. Top with walnuts. Cut ends off zucchini and slice zucchini lengthwise with a vegetable peeler to create long thin “noodles”. Add zucchini, carrots, pepper and cabbage into a large bowl. Add edamame, onions and sesame seeds. Add dressing ingredients into small bowl and mix well with fork. Add dressing onto salad and mix well. Separate into 2 bowls and serve. Try these ‘do it yourself’ Easter eggs. They are fun for the kids and use only natural ingredients. For a yellow egg: Prepare 4 oz. chopped carrots and simmer in 1 1/2 cups water for 15 minutes. Strain the carrots and add 2 teaspoons of white vinegar to the remaining liquid. Dip hard-boiled eggs into liquid and remove. Allow to dry. For a red egg: Add 2 tablespoon of paprika into 1 cup boiling water. Add 2 teaspoons of white vinegar. Dip hard-boiled eggs into mixture and remove. Allow to dry. For a purple egg: Mix 1 cup grape juice and 1 tablespoon vinegar. Dip hard-boiled eggs into liquid and remove. Allow to dry. Grapefruits top the charts when it comes to being nutritional superstars. Whether pink, white or yellow, grapefruits are high in vitamin C, and are loaded with anti-oxidants making them a great cleansing food. Grapefruits also contain pectin – a soluble fiber that helps to lower cholesterol naturally. 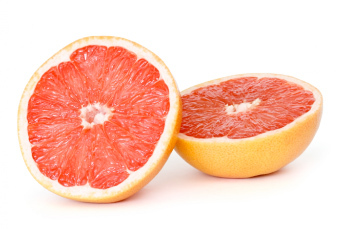 Grapefruits are also low in calories and low on the glycemic index (making them ideal for weight loss!). Did you know: Grapefruit juice freshly squeezed and stored covered in the refrigerator will retain 98% of its vitamin C for up to a week. 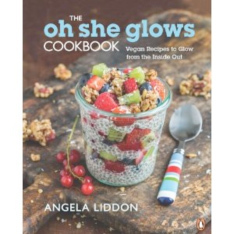 Angela Liddon’s new vegan cookbook is a must-have for vegetarians and meat-lovers (I promise you my meat eater friends... you will love her non processed, delicious food choices and recipes!). Liddon’s book has over 100 wholesome, delicious plant based recipes that contain real, whole food ingredients. The book also contains over 100 full page, full color photographs shot by the author. For those who are gluten free, nut free, sugar and grain free... or just love good food – this book is for you! Available at Indigo and Amazon. Our goal at Shulman Weight Loss is of course to help you lose weight but... more importantly, to help you keep the weight off for life! Congratulations to last years Cityline winner Stefania who lost 40 pounds and kept it off for over a year! Shulman weight loss offers one on one private and personalized hormonally balanced weight loss programs that work! Whatever age, whatever stage you are at – it is our goal to get you to goal weight in a healthy and sustainable manner. We are proud to be #1 in the Toronto and are also thrilled to offer a location in London, Ontario. To book your free initial weight loss consultant and start losing weight today, please emial inquiries@shulmanweightloss.com for the Thornhill and downtown locations and london@shulmanweightloss.com for our London office. I was recently introduced to an incredible charity called Save the Mothers (www.savethemothers.org). What I have learned from the dedicated staff at Save the Mothers, is that sadly – a woman dies every 90 seconds around the world from complications in pregnancy or childbirth. These are preventable deaths and result in a growing number of orphans whose lives are also at risk. If you are too far from one of the walk locations – you can join the netWALK team and register to walk a 5k distance on your own. Remember... every little step helps.